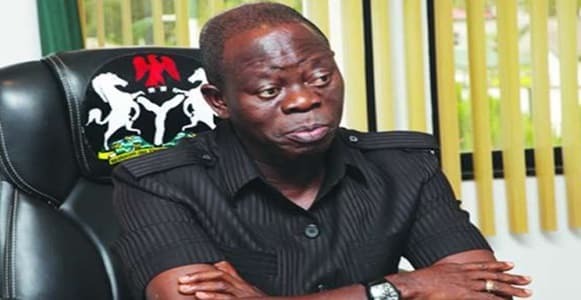 Adams Oshiomhole, national chairman of the All Progressives Congress (APC), has alleged that the Independent National Electoral Commission (INEC) worked against the ruling party in the 2019 general election. The APC won the presidential election, secured over 25 seats than the Peoples Democratic Party (PDP) in the senate, won over 100 seats than PDP in the house of reps and emerged victorious in governorship and state assembly elections. However, Oshiomhole claimed that INEC conducted the elections in a manner that put the ruling party at a disadvantage was grossly biased against the APC in the just concluded general elections. He spoke in an interview with Maupe Ogun-Yusuf on Channels Television’s Hard Copy. “I have huge reservations about the way INEC conducted this election. INEC bias against APC is so clear. INEC was biased even in the way it dealt with our primaries, INEC was biased in the way in which it selectively used the card readers or the non-use of card readers in some states where it suits them” he said. He said there were several instances on paper where INEC contradicted itself as to the way the elections were conducted. Laying emphasis on the non-use of card readers in some areas, Oshiomhole claimed that in some states were the APC clearly won, the electoral umpire used the non-use of card readers to rig the party out.